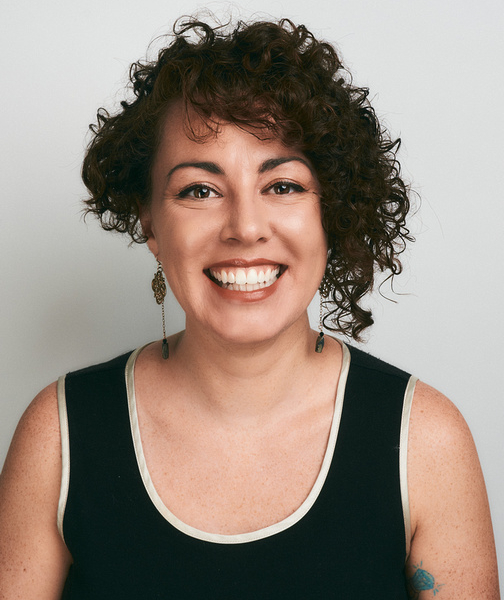 Lansie Sylvia is a tornado of sparkles, curls, and great ideas specializing in branding, messaging, and design. She's been hailed as "a ball of energy with a hell of a laugh" and "a national treasure" by past collaborators. As Senior Strategist for J2 Design, Lansie leads the agency's strategy department and builds new partnerships in the regional and national nonprofit sectors. She serves as Project Director for Next Stop: Democracy!, a public art project improving Philadelphians' voting experience funded by the John S. and James L. Knight Foundation. Lansie's work has been featured on NPR, WHYY, Next City, PHL17, Philly.com, and more. She's a featured columnist at Generocity.org with her popular philanthropic advice column for millennials, "How To Give." As an award-winning storyteller, she frequently presents to groups and businesses and was a featured speaker at MCON 2016, the Knight Foundation's KCC Summit, and Independent Sector's PPAI Conference. Lansie received her M.S. in Nonprofit Leadership from the University of Pennsylvania’s School of Social Policy and Practice and completed her AmeriCorps Year of Service in Providence, RI. She is a proud Girl Scout troop leader, feminist, and soon-to-be Master Gardener.